In order to promote his latest film ‘Cold Pursuit’, the Hollywood star Liam Neeson spoke about his plan to kill a Black man, any Black man, to avenge his friend who had been raped by a Black person. His statement/confession is troubling on so many levels: it’s difficult to know where to begin. 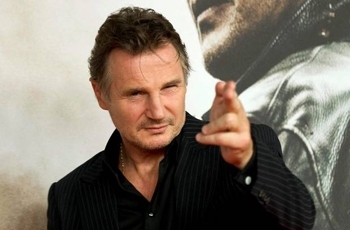 I guess my starting point is personal: Liam Neeson could have killed me, not because he knew me, or disliked me, but for the sole reason that I am Black, and therefore would satisfy his murderous lust for ‘revenge’. Most people might understand both the thoughts and the actions to look for the perpetrator of his friend and want retribution. We wouldn’t condone it, but you would be able to understand, at least those feelings. But Neeson took that to a whole new level, and in doing so condemned a whole race. We have to ask the hypothetical question what would Neeson’s reaction have been if the perpetrator would have been Irish, English, or Jewish? One of the many aspects that troubles me is that he feels confident enough to say this in a public arena, and believes it’s okay. In the last few years racist attacks, and insults have literally gone through the roof, with increases of around 40%. In this hostile, xenophobic climate, these comments can often be the trigger that takes individuals dark murderous racist thoughts, over the edge. Of course Neeson, as I write this, will be employing the best PR individuals money can buy to damage limit this in a bid to save his career and the film he was promoting, and it might work to a point; you know the contrite, apologetic star who’ll talk about his love for Black people and his hatred for racism. But if you’re a Black actor would you really choose to work with someone like Neeson? And what of the Black film going audiences; how can we look at him on the screen and not think ‘racist B…., can’t we watch something else’. One thing we do learn from this sorry episode is the most horrible fact that when we talk about institutional racism, or systemic racial bias, we too often forget that it is not just institutions and systems that execute racism but individuals like Neeson who are poisoned by it.